David H. DePatie was the last manager of the original Warner Bros. Animation Studio before its shut down in 1963. This led to forming his own studio with Friz Freleng where they produced many cartoons including the Pink Panther, the Dr. Seuss specials, and numerous other shorts and series. I interviewed DePatie on December 14 by phone. The following is part 1 of the conversation. You were the producer of the Warner Bros. Animation Dept. I was the last manager of the Warner Bros. Cartoon Division before we closed it down. I was the head of that division for three years prior to the decision being made by Warner Bros. to get out of the cartoon business. Who was the previous manager before you? His name was John Burton. John Burton the cameraman was his son, and it was his father who was the previous head of the cartoon division before I took over. 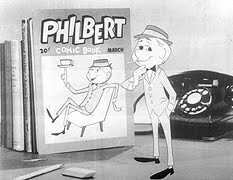 And one of the films made under your watch was a live-action/animation hybrid Philbert. Philbert was a pilot television show that was made for ABC Television Network. It was a combination of live and animation. Unfortunately it did not sell and the pilot was the only film we ever made. 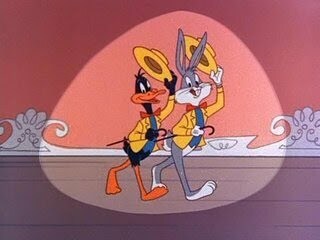 And also at this time there was the The Bugs Bunny Show. The Bugs Bunny Show was a combination of many of the old Warner Bros. cartoons involving most all of their characters and for half-hour television we took three of these cartoon shorts and put them together with new animated bridging material to form a half-hour show for television. And again, this was for the ABC network. And Chuck Jones and Friz Freleng were mostly in charge of that show. Well, there were all three of them involved. There was Friz Freleng, Chuck Jones, and Bob McKimson. They would take turns directing the bridging materials? That is correct. That's how it worked. When did Warner Bros. shut down their animation division? Well I'm going to say it was approximately 1960. I received a call from management telling me to come to New York for a board of directors meeting. I flew into New York and attended this meeting of the Warner Bros. board and was told at the time that a decision was made to close the studio and get out of the cartoon business. As I recall, it was around 1960, '61, in that era. And that led you forming your own studio with Friz? Yes. It was a painful process, having to notify everybody that they were going to be out of work. But it took a year, a year in a half, to actually close the studio down because we had shows that were in production and we also were in the middle of an animated/live-action feature called Mr. Limpit, starring Don Knotts. [...] As I said earlier it took probably a year-in-a-half to close the studio down and it was over this period of time that personnel were gradually let go until we finished all of the production. How did DePatie-Freleng Enterprise begin business? I was offered a job to go up into the Warner Bros. Television division. At the time Warners was just getting started in television with shows like Maverick and 77 Sunset Strip, and I was offered a position up there to work as an executive producer. So I was not going to be out-of-work, but thought occured to me that I would like to go into business for myself. The Hanna-Barbera studio was just getting started at the time and I thought it would be a good time to get into this business. So I needed to have an animation director to work with me and during my years at the Warner Bros. Cartoon Division I had developed a very good rapport and friendship with Friz Freleng, so I offered Friz the opportunity to go into business with me to form an animation company and he accepted the offer and that that's when DePatie-Freleng Enterprises was born. In the beginning, it was mostly commercials with Charlie Tuna. I had a quite a good rapport with a number of advertising agencies that we had made commercials for when we were still at Warner Bros and they really helped us get started. That was how our initial work in the new studio was, television commercials. And you're right, Charlie the Tuna was one of the them, "Put a Tiger in your tank" [was] another one, Post Cereals. There were a number of animated commercials that really kept up going in the early stages of the company. How many animators did you have on staff at the time? When we started out, Friz and I were very fortunate because we literally had our pick of the best because people that had been laid off at Warner Bros. we picked up. I think we probably started out with four animators and four assistant animators, probably two or three layout people, a background artist, and a certain number of the ink-and-paint girls as well as John Burton Jr., who became our cameraman. To back up a little bit, I had been able to negotiate a deal with Warner Bros. management to take over the cartoon studio because obviously they had nothing to do with it, it was empty, and I was able to negotiate a very favorable lease on the studio, including all of the equipment and everything. That's where DePatie-Freleng was originally housed, in the existing Warner Bros. Animation Division building. And the new studio would eventually make new Looney Tunes. It's quite ironic. Friz and I had been in business for probably a little over a year, and we had already started with the Pink Panther. 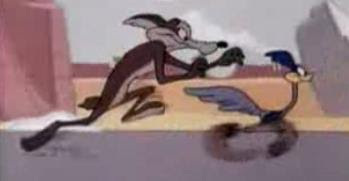 I got a call from the Warner management saying that because of the needs of television that they wanted more shows and we did produce for about 26 to 30 six-minute shorts with Daffy, Road Runner, some Bugs, Tweety. We did do some work for them initially. 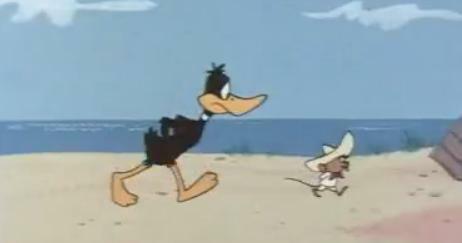 Why Daffy Duck and Speedy Gonzales, mostly? I don't know that it was mostly but Warner Bros., they were of course catering ABC network and I suppose that it was the ABC Network Programming people that really specified what characters they wanted in these new cartoons. And some of the Road Runners were contracted out to Format Films. There was a gentleman by the name of Herb Klynn who had been a director at one time or another at Warner Bros and Herb had this company called Format. We were, of course, very very busy at that time with the Pink Panther production and we really didn't have the personnel to do all of the Warner work in-house. Yes, some of it was indeed farmed out to Format Films under the direction of Herb Klynn. 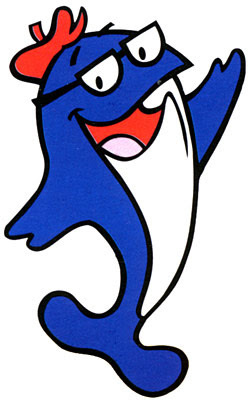 Philbert, Looney Tunes characters © Warner Bros.
Charlie the Tuna © StarKist Co.
Great interview so far, I'm really looking forward to the rest! I hope all of your interviews result in a DFE oral history of some kind. Great interview Charles. I'm looking for the Part 2. Really helpful to see cartoons artists again alive today.